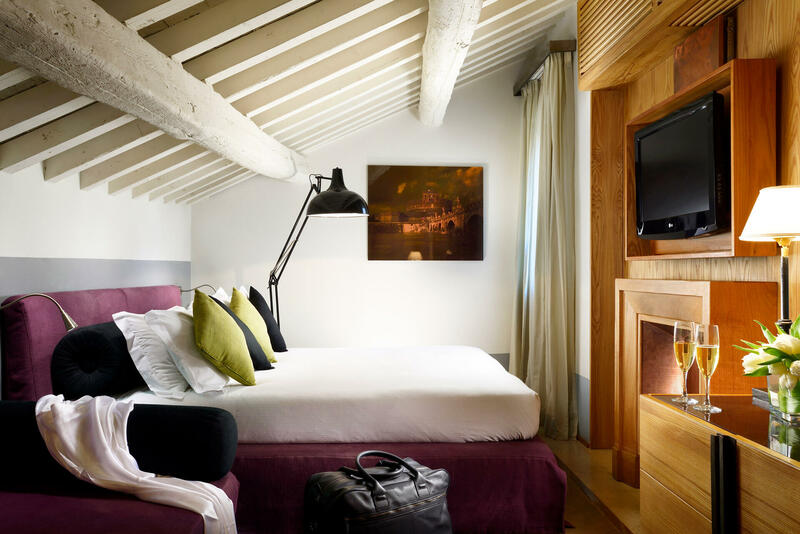 With lots of space, the Mario de’ Fiori Junior Suites offer a unique boutique accommodation in Rome with superb levels of comfort. 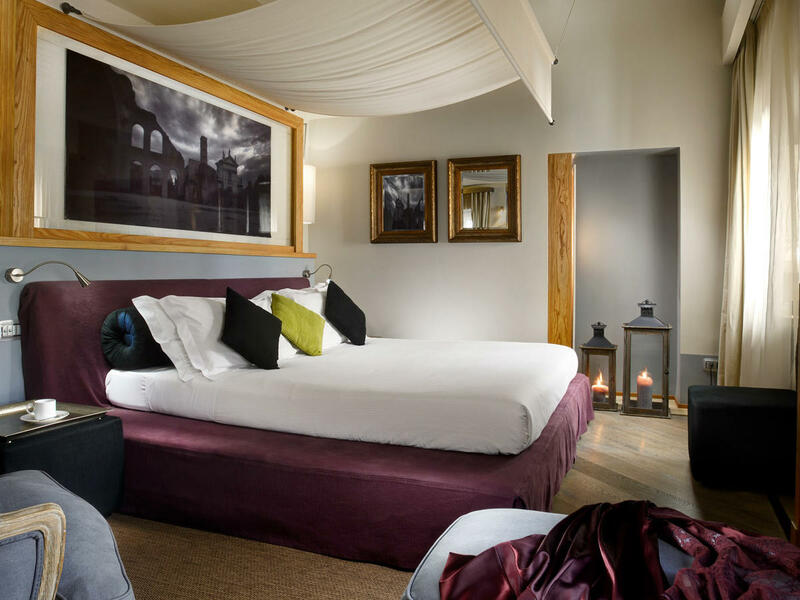 The king-size bed has a romantic canopy and luxuious Frette sheets. 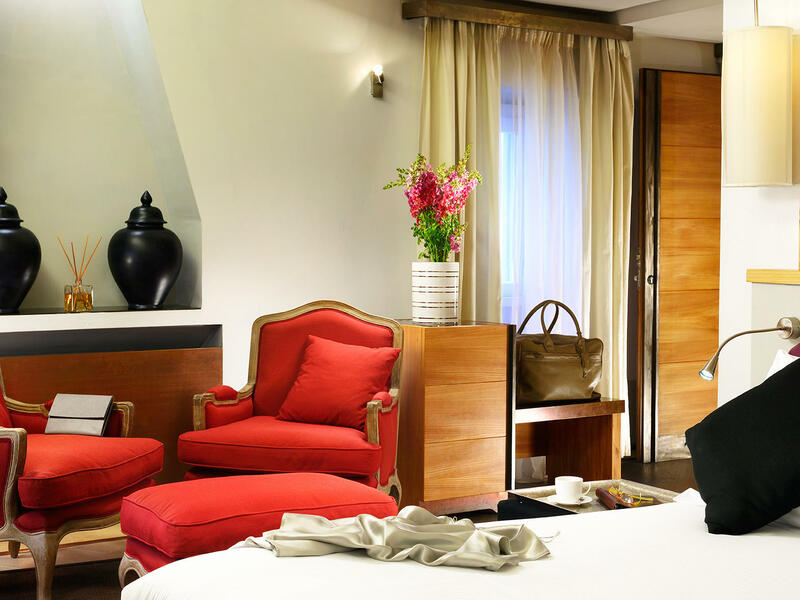 The comfortable seating area includes plush armchairs and an ottoman, plus original photographs of famed Rome monuments. 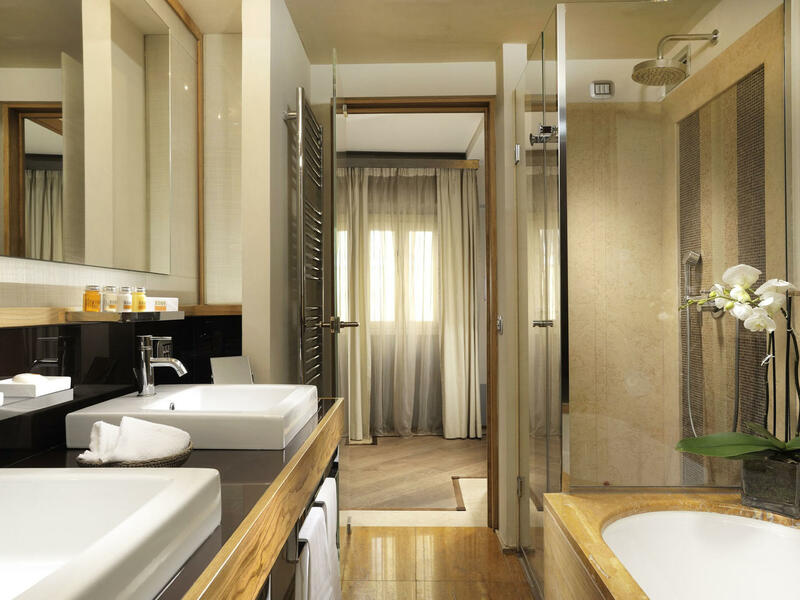 The bathroom is lined with golden-yellow marble and mosaic, has double sinks, walk-in shower and roomy bathtub. Robes are also by Frette. 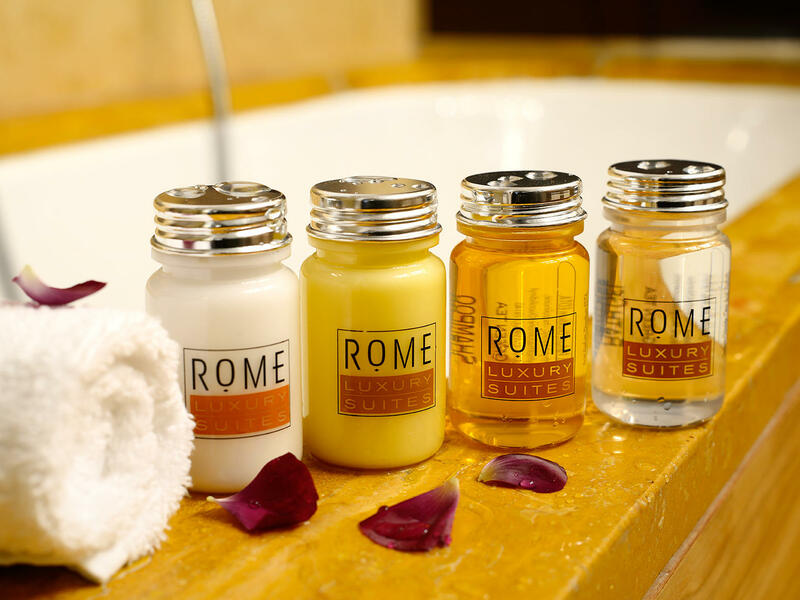 The amenities, design, space and comfort of these suites ensure a relaxing stay in the heart of Rome.